Twelve months ago, I wrote a blog called Code Cracks Education’s DNA. I read it again just recently, before I tackled this personal and professional challenge, to reassure myself that it’s alright not to have all the answers. 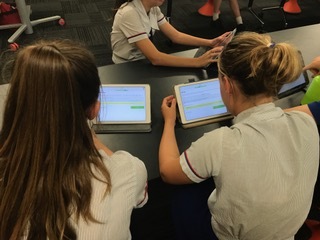 It is an exciting time to be a teacher of Digital Technologies in Australia. The subject is ‘dynamic’ which is a trendy way of saying things are always changing, because the world of technology is always changing. So, just when I thought it was safe to go back into the water…..
…the next challenge surfaced. 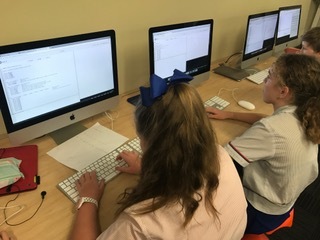 Students now start their coding journey in primary school, so when they arrive at high school, many of them are already across the hardware and software that has been the core of our teaching program to middle-school students. My decision? Python is a general-purpose programming language created about thirty years ago and named after Monty Python. It is very ‘readable’ because it closely resembles the English language, which makes it great for beginners. Also, if it is good enough for NASA and Instagram, then it is good enough for me. Students do wnloaded this App onto their iPads and phones. It’s free and is described as a learning playground as it steps users through easy to follow modules with self-paced quizzes. The lessons are short and sharp. While I was trialing it, I found myself working through them while waiting for coffee. Students completed the first module in class in the first week. Then the expectation was that they work through it at their own pace in their own time – but if they chose to never open it again, that was their choice. This is always a risky move as a teacher. The only message I gave them was that continuing with the modules would help them understand more quickly how to use Python on the other platforms. 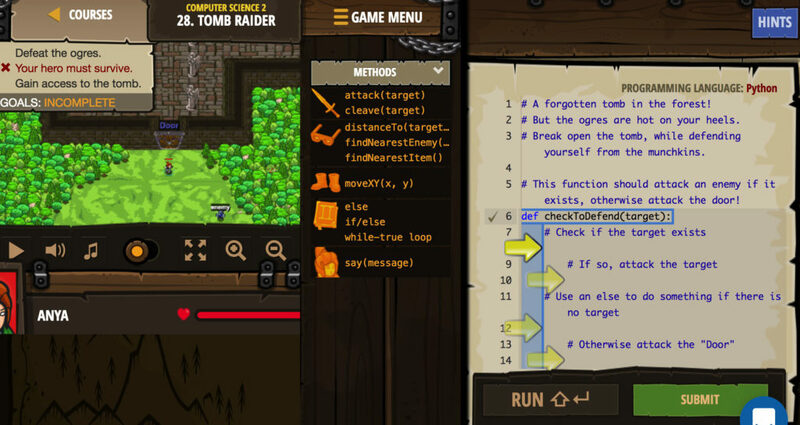 code while playing a real game. The Computer Science Level 1 is free and available to anyone. You can even set up your class and support them through it. We did this as a trial in our school last year and the students were engaged with it, so we decided to buy a 1 year license, which unlocked all the computer science courses, as well as web development and game development courses. Computer Science (CS) Level 1 is quite simple and gets the students learning about basic syntax, arguments, and strings. Level 2 looked at ‘if’ statements, functions, and parameters. By the time students reached mid-way through Level 2, they would be ready to start Phase 3. Some students blitzed it in their own time! I spent a long time trying to find the best platform to teach Python. I needed something that allowed me to track my class, included an interpreter and a terminal, as well as somewhere I could leave instructions. Then I found Repl.it. 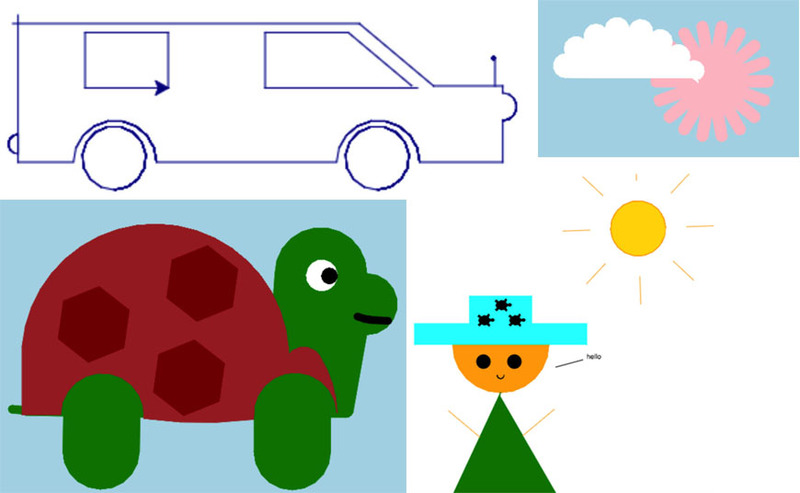 I have designed my own series of tutorials called ‘Scotty’s Bootcamp: Draw with Turtle’ that students work through at their own pace and submit their tasks to me in here. commands in the interpreter to see what they could create. Win! The students who have an engineering mindset chose to draw cars that move, the students who have a more artistic bent drew beautiful flowers with detailed petals. One of the students said that they enjoy it because, although they all have the same parameters, they can choose their own adventure. 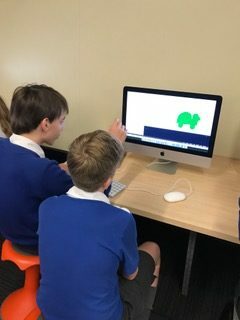 Year 9 flexing heir coding skills when learning to draw with the Python Turtle. Python Bootcamp Success – Yay or Nae? Students sit their first Python exam next week. Of course, I have high hopes. However, for me, the success has come from seeing how engaged students have been with the whole process. I am convinced more than ever that experiential learning is a powerful teaching tool.